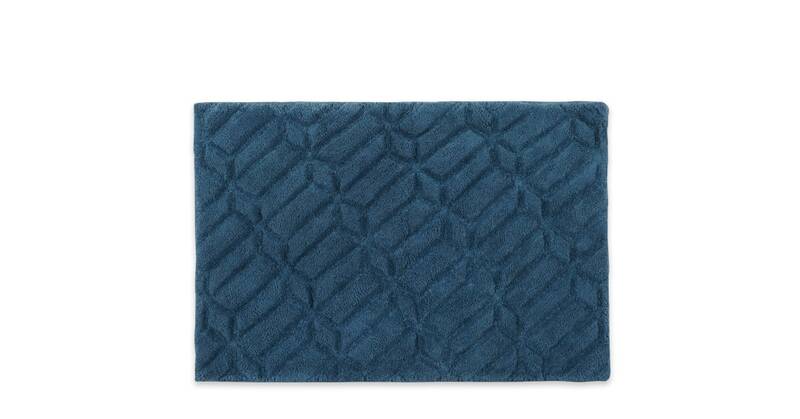 Cool, contemporary bathrooms deserve stylish accessories like our Prism bath mat. It’s finished with a carved geometric design for a three-dimensional look and a textured feel. Prism’s made from 100% cotton. Soft and easy to care for, it'll make a striking and colourful addition to your bathroom – in blue – and will feel great underfoot. When it comes to Prism the only thing you need to ask yourself is which colour? Choose from mustard, stone grey, or deep blue – or if you're lucky enough to have more than one bathroom, maybe you don't need to choose.